would have large-scale, significant, long-lasting negative impacts to the natural environment, and to the local economy and well-being of the citizens of the Upper Peninsula. UPEC urges the responsible local authorities to approve the L’Anse Township Planning Commission’s proposed amendment to the zoning ordinance that states, “A Large Wind Energy Conversion System may only be located in areas in L’Anse Township that are zoned Conservation/Recreation or General Industrial.” … Read full Paper here. Following are some of the more significant potential impacts that are likely to result from construction and operation of the proposed project. 1. Large-scale short and long-term disturbance and modification to soils, vegetation, and surface water from construction activities. 2. 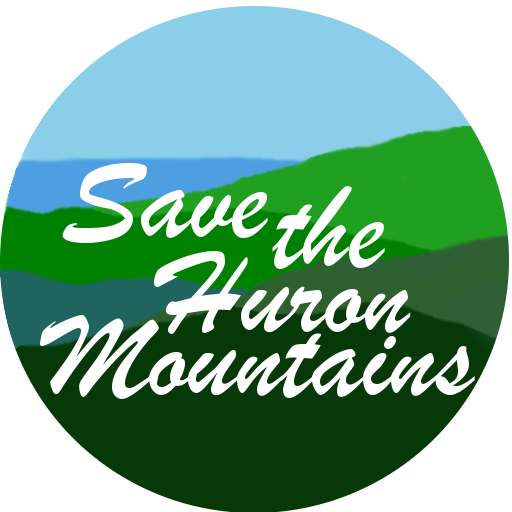 Significant negative changes to the relatively pristine viewshed of the Huron Mountains and surrounding areas. 3. Significant negative impacts to use of the area by local residents and tourists due to the presence of industrial-scale wind turbines. 4. Negative impacts to tourism, which is a mainstay of the local economy. 5. Potential significant impacts to property values in the area surrounding the project. 6. Potential for wildfire caused by failure and combustion of wind turbines, which would be difficult, if not impossible, to control. including Kirtland’s warbler, gray wolf, Canada lynx, piping plover, and red knot, as well as other species that may be listed in the future including the northwestern moose, and many species of special concern listed by the Michigan Department of Natural Resources. In addition to direct fatalities from wind turbine blades, other wildlife impacts include disturbance and avoidance of the area from the construction and use of access roads, which may result in habitat destruction and fragmentation, and disruption of travel corridors for large carnivores, affecting black bears, gray wolves, and many other species. LWECS development in the Conservation/Recreation or General Industrial Districts and prohibit LWECS in the Forest District of L’Anse Township. … Read full Paper here.